Capterra hosts user reviews and independent research on many categories of business software. When consumers browse a category, results are displayed with paying vendors at the top by default. However, the consumer can choose to sort the list by highest rating, most reviews, or hot products. Vendors can list for free, or sign up for a pay-per-click listing that comes with perks. Capterra reviews are highly visible Top 20 Reports in every software sector; vendors do not need to have paid accounts to be featured in these reports. According to Gartner Digital Markets (owner of Capterra), users typically refer to Capterra to get oriented to the business software market. As part of your online reputation management strategy, it is important that you ask happy customers to leave a review on Capterra. Make sure your reviews reflect your product in the most effective way possible, 5starRocket’s review management system makes it easy! 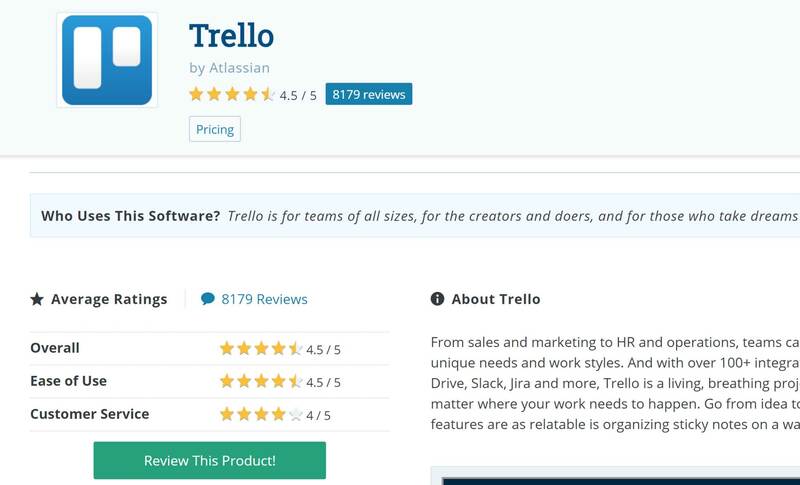 It is easy to see if your business software is already listed on Capterra review network. Just go to the homepage and type your product name into the search box. Your product will appear in the search results if it is already listed. If you click on your product, that will take you to the product’s profile page. This profile is built from publicly available information. You will need to set up a basic vendor account to manage this profile via the Vendor Portal. Set up your vendor account here, where you will fill out information about your company and product. You will then use this account information to log into the Vendor Portal. Vendor accounts are non-cancellable. Reviews posted on Capterra pull from all three Gartner websites. Reviewers can click the Write a Review button on the main menu of the homepage or search for the product name on the homepage. Either way will lead to the product landing page where the green Review this Product! button is prominently displayed. Users have the option to sign in using LinkedIn (for quicker verification and anonymous posting), but they can also leave the review without signing in through LinkedIn if they don’t want to post anonymously. In that case, they enter their name and email address into the review form. Final Thoughts: Capterra is a leading business software review site, with five million business software buyers visiting Capterra every month. Managing your online reputation will make a huge impact on your product’s visibility on Capterra. 5starRocket’s online review management platform helps you collect more positive reviews and allows you to get in front of potentially damaging complaints BEFORE they are posted. Find out how.